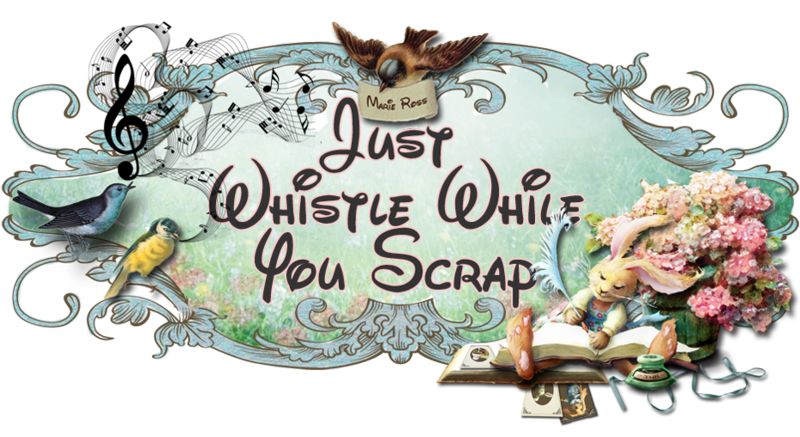 Just Whistle While you Scrap: Bloom Impressions Tool Giveaway! Some of you may know that I am in the middle of starting up a small online craft store. I wanted to carry the items I look for in craft stores and never find. So, instead of searching and wasting gas, I decided the best thing to do is to open up an online store! I am in the process of doing just that at this moment. I thought I could open it up in March, but there is so much to do in opening up an online store! When you are the store owner and manager of everything and anything you do for your online store, it takes a lot of time and energy. Slowly but surely, everything will fall into place and I hope to open very soon. There is a link above that says "Online Shopping". You will be able to click that link and it will take you to Designs by Miriam, my online store. I do need lots of feedback from you on what you would like me to carry. I know I will be carrying mats and accessories for the Cameo, Cricut and Eclips die cutting machines and much needed Krylon sprays. I will also be carrying some Marion Smith products (the nicest bunch of people!). The Bloom Impression Tool is absolutely amazing. I have shared her You Tube video above. She also has flower dies that work wonderfully with the Bloom Impression tool. I am now taking pre-orders for the Bloom Impression Tool until April 30th. The Bloom Impression tool retails for $24.95, however, from now until April 30th, the price is $20.50. I am also still taking pre-orders for the Zutter Bow Elite Version 2. Retails for $34.95, now at $27.99 (that's 20% discount) until April 30th. I only have 10 left to sell at this price! Now for the giveaway!!! Please comment below on what items you would like to see me carry in my online store and I will do my best to fill those orders. By commenting below, you will be entered to win a Marion Smith Bloom Impression Tool (retail value $25!). I will pick a winner on May 1st. I would also love for you to subscribe to my blog. By doing so, you will earn an extra entry for the giveaway. If you already follow my blog, no worries, you already have one entry for my first giveaway! I will let you all know when my store opens. I will do some "Opening Day" giveaways then too! Have a wonderful day and craft the weekend away! I can't wait to get this cool tool. I am a follower. Would like to see Wild Orchid Flowers, Mairanne dies. Thanks for the opportunity. I am a follower I would love to win! Love your page Marie. It is coming along very nicely! Maybe some Sizzix- Stephanie Bernard dies, Some sprays like the Prima or Heidi Swapp type stuff. Some great paper kits. Making Dotty Embelishments with Beads!